Online dating is a nightmare, but one Jordan Billette can endure for the sake of fulfilling her Grannie’s dying wish to see her walk down the aisle in a bridal gown. Trouble is, finding the perfect groom proves harder than finding the perfect dress. As Grannie’s cancer rages, time is running out and Jordan’s list of potentials grows thin. 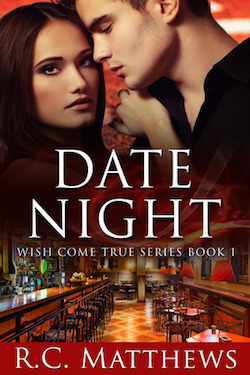 Until an impromptu date with her brother’s best friend, JT, ignites a flame worth fanning. JT Murphy has grown up three doors down from his best friend, Jared, so he’s practically one of the Billette family. Agreeing to look out for Jordan during her dates where he waits tables is a no-brainer. He won’t let any jerks enter their tight family circle. And that’s what Jordan’s dates are. Jerks. Every last one of them. None of them deserve her dazzling smile, sweet curves or enduring love. As the wedding date draws near and JT advises Jordan on her best options, he can’t help but wonder whose heart needs protecting. Jordan’s or his? For once a story about a brother’s best friend and the little sister getting together, but with no long standing crush on either side. It was really great to see two people with a long history as being strictly friends, begin to see each other in a new light. I loved this book! I laughed out loud, I cried (with tears), but most of all, I had FUN! This was a great, light hearted, love story. I usually read romantic suspense. But sometimes it is necessary for me to take a break and read a light romance. Date Night was a WONDERFUL surprise! This is what I like to call a “feel-good” book. 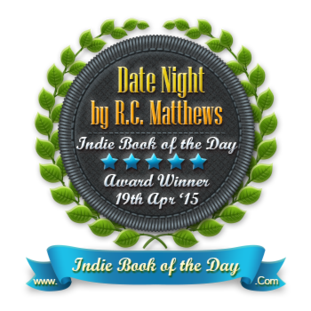 Top 5 finalist in the RomCon Reader’s Choice Awards 2015 for contemporary romance category!